Winter is here, and our skin can do some weird things. My skin tends to be on the oily side, but I do get a dry patches. So the hunt for the perfect moisturizer, for me, took a really long time, like years. Oily skin products made my dry areas look like Eczema. Normal skin moisturizers tend to make me look like a shiny, hot mess, like you could use my face to help your door stop squeaking when it opened. I would literally switch up my moisturizer every single day and pray that I used the right one. More often than not, my face was greasy, and I looked sweaty, and irritated. That is not my favorite look. 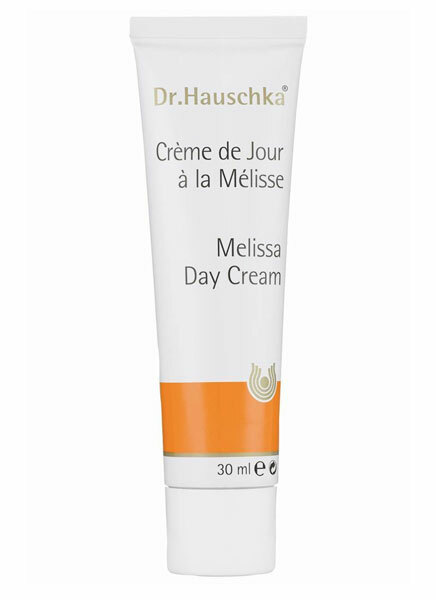 A few years back my friend Sulekha turned me on to Dr. Hauschka, which in turn led me to try Melissa Day Cream. I have not looked back since. Melissa Day Cream is a miracle moisturizer for combination skin! It soothes skin, controls shine and helps dry skin retain it’s moisture. It’s everything my face ever needed in one tube! My skin feels smooth and soft, and is never shiny. Melissa Day Cream is definitely a must have for combination skin, and I’m sure people with normal to slightly dry/oily skin would benefit from this too. Marko’s tip: I always apply moisturizer to freshly towel dried skin, I feel the moisture on the face helps spread the Melissa Day Cream evenly over my face.